Please fill out the following form for a free contact from one of our lawyers regarding your case. Remember to fill out all fields and to give a brief description of your case in the space provided, then click on the Submit button. 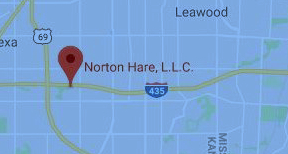 All attorneys at Norton Hare L.L.C. are licensed in the state of Kansas. Attorneys J. Ryan Hare, and Lindsay Hare, are also licensed in Missouri. None of the information in this website pertains to any states other than Kansas and Missouri and should not be construed as solicitation of business in any other states. We cannot and will not assume the representation of clients whose matters concern states other than Kansas and Missouri. If you have scheduled a consultation with Norton Hare, please download our client questionnaire and take a moment to fill it out as completely as you can. By completing the questionnaire prior to the meeting and bringing it with you to our offices, you will spend less time in our waiting room and more time in consultation with one of our attorneys. What law enforcement agency stopped you?